Laurie's best blog attempt…now with content – Page 2 – Soon with more content. Very sadly, my and my mother’s dogs passed away last year about 6 months apart. They were old – Sally was almost fifteen-years-old and Simon was just shy of seventeen-years-old. They’ve both been part of the family for a long time and were very good dogs so it was heart-breaking to lose them. We waited a few months, but we’ve gotten a new puppy – Bailey Ball. He’s smart. And sweet. And a bit of a monster – hopefully he’ll grow out of that! He’s also pretty adorable. Realm Breaker is out today! My final book in the Last Dragon Charmer series is available today! That means that all three books are ready to be read! VILLAIN KEEPER ebook on sale! Click on the cover to get a copy of the first book in the series! 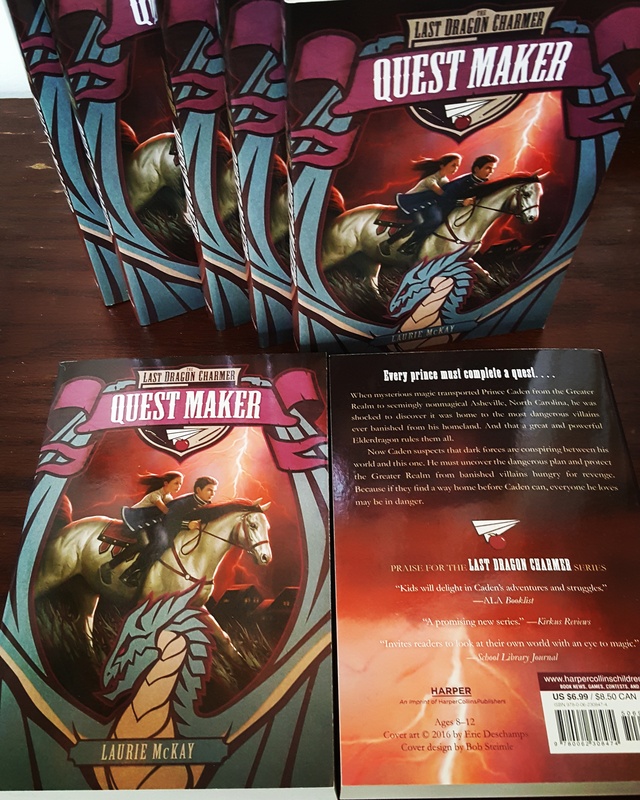 QUEST MAKER paperback is available today! Today is pub day for the paperback for QUEST MAKER (The Last Dragon Charmer #2), and the paperbacks look great. Copies can be ordered at your local independent bookstore (see list to the left), Amazon, B&N, and wherever books are sold! 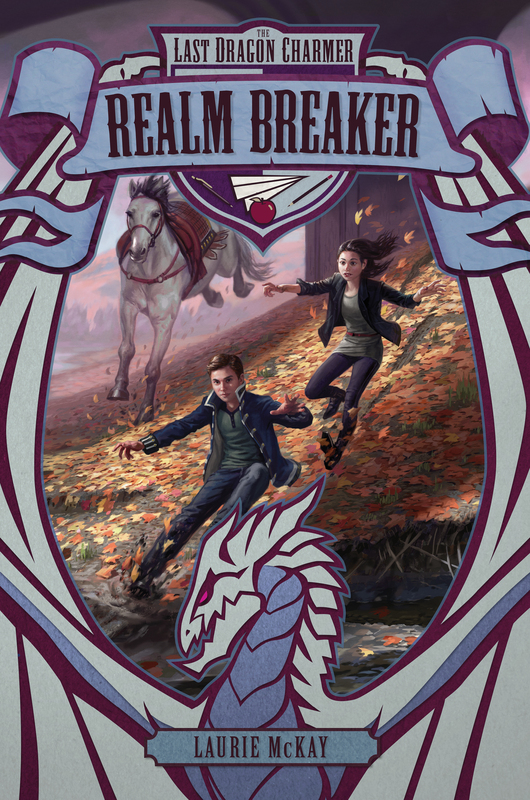 Not only that, there is a sneak peek – the first 15 pages – of book three, REALM BREAKER, in the back. And there is some lightning. Spellbound Children’s Bookshop on March 10th! I’ll be at Spellbound Children’s Bookshop on March 10th at 6pm for fun, games, sneak peeks, and pizza! Come join the party. Hope to see you all in Asheville. NC Renaissance Fair – November 12-13th. I will be at the Annual NC Renaissance Festival on November 12-13th for the Time Traveler’s Weekend with Park Road Books! There will be feasting, jousting, fun, and, of course, BOOKS! Click on the banner above for more info. Check out the latest book blasts via SCBWI (Society of Children’s Book Writers and Illustrators)!!! Click on the covers to see the blast for VILLAIN KEEPER and for QUEST MAKER. To browse all of the book blasts check out this link. This same thing happens to me every time I open a book. Look at the lovely cover art! It compliments the first two books in the series nicely. Take a look. If you’d like to enter the giveaway for books one and two: VILLAIN KEEPER and QUEST MAKER you can do so HERE.